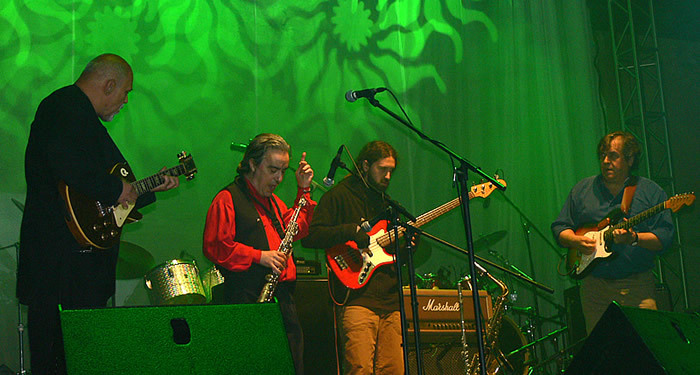 Performs his musical studies at the Royal Conservatory of Music in Madrid and began to play in 1969, as a guitarist of Rock and (Rymth & Blues) in various bands, as the group ZAS, with the drummer, Chema Gonzalez, and bassist Manolo Aguilar and with musicians of Vallecas, Jose Antonio Galicia (drummer), Angel Andrada and Tino Charro, with them later will accompany to, the songwriter HILARIO CAMACHO. By then begins to use the SAXOPHON and the TRANSVERSE FLUTE. 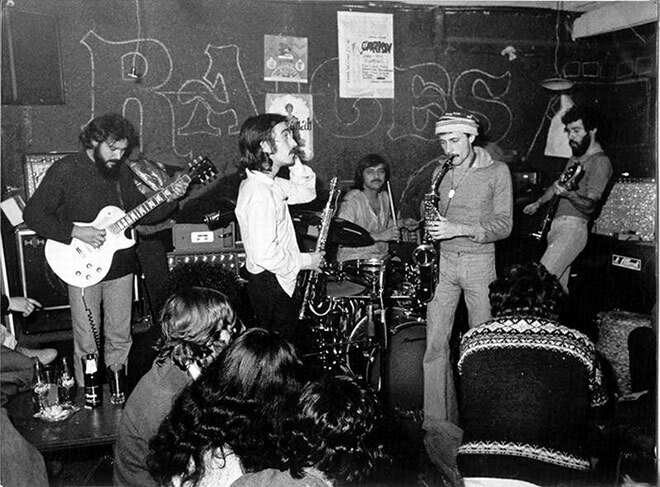 In 1975 enters in"From Santurce to Bilbao Blues Band" (MONCHO ALPUENTE group) and later will work with several groups of different styles as Araxes II (symphonic rock); Juan E. Mochi (pop singer), in 1976 with MALASAÑA, group of Manolo Aguilar and Luis Mendo, that after would be"SUBURBANO", and as a session musician, recording for the label GONG of Gonzalo Garcia-Pelayo. He goes in that time, by the Jazz clubs of Madrid (Raices; Birimbao; Whiskey Jazz, etc. 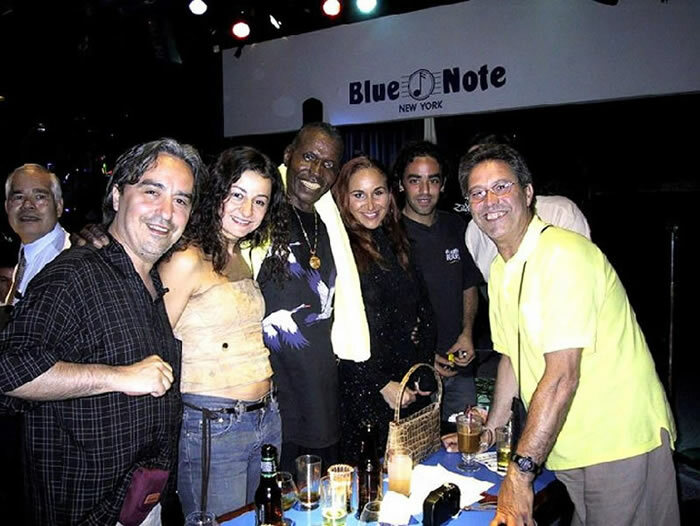 ), where it participates in "jam-sessions" being held with musicians like Jorge Pardo; Luis and Cesar Fornes; Quique Santana; Ruben Dantas; Carlos Carli; David Thomas; Paquito de Rivera, Luis Abella and many others. 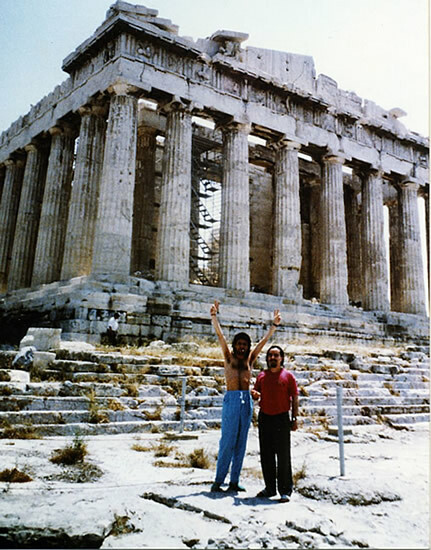 There, will know to LOUIS COBO "MANGLIS", and with him and JOSE A. GALICIA, will form a trio with which they will work in Ibiza in the summer of 76. At the end of the year makes his first international tour with "La Polaca" by Venezuela and Ecuador. 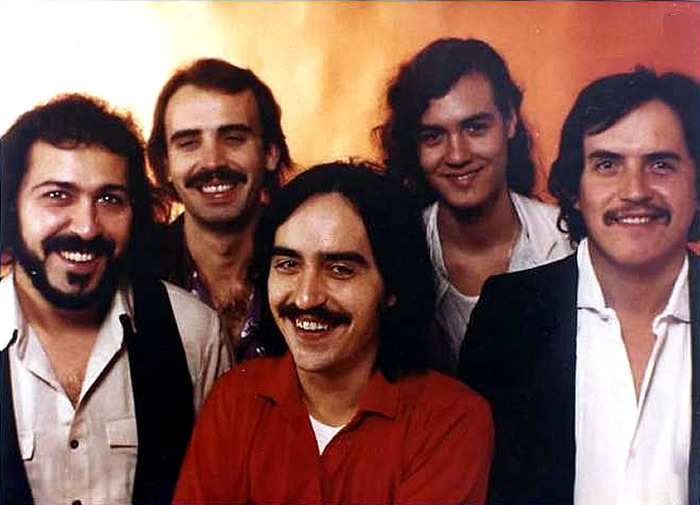 In 1977 alongside Luis Cobo and Andres Olaegui, they form the band GUADALQUIVIR, adding the musicians Larry Martin (drums), and Jaime Casado (bassist). They will be a core group of ANDALUSIAN ROCK. 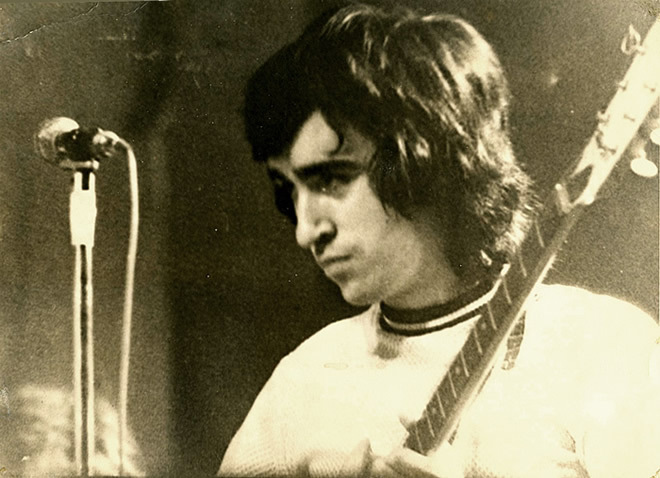 He remain in the group until the year 1981. taking part on the firsts albums of the band: "Guadalquivir"(1978) and "Way of the Concert" (1980), for the label EMI-HARVEST. 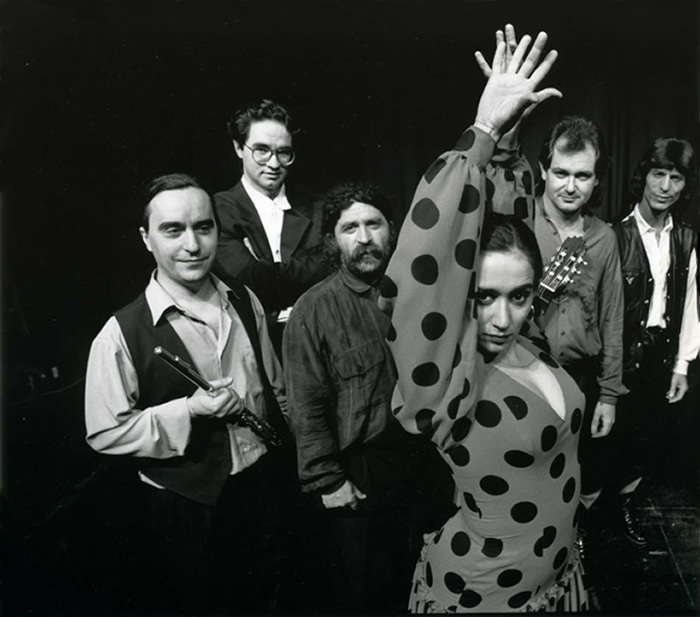 They enter on the lists of sales with the theme "Baila Gitana" and they act in the most important festivals, and scenes of the moment, in front of large audience, with great success, among others places: Teatro Monumental de Madrid, Lope de Vega in Seville; 2 º Festival Jazz de Vitoria; Selva of Rock Mallorca; Zeleste. They share poster with: Triana; Dr.Feelgood; Tequila; Camel; Lole and Manuel; Medina Azahara; Asfalto; Manolo Sanlucar, and so on. 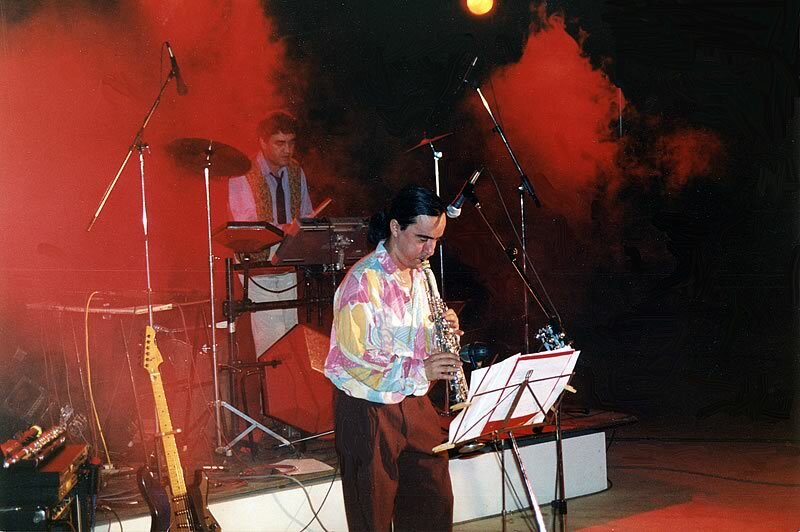 They work as MIGUEL RIOS group on the tour "La Noche Roja". 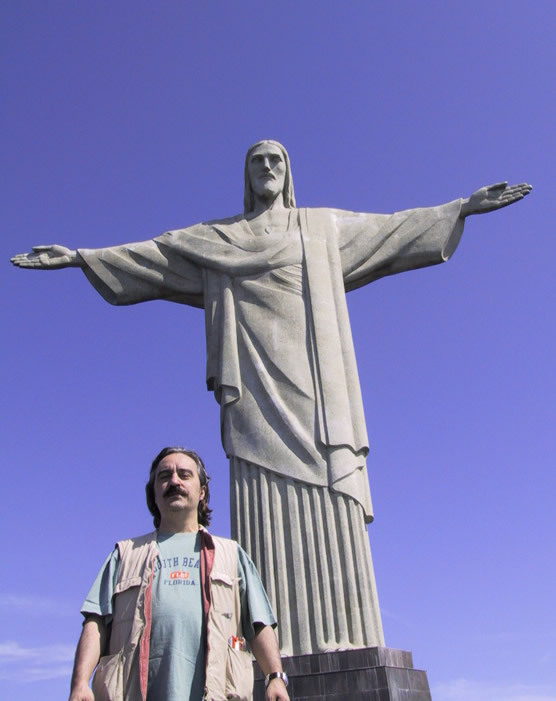 They include collaborations on his records and concerts by leading musicians such as: Manuel Soler; Diego Carrasco; Manuel Marinelli; Kitflus; Tito Duarte; Talegón; Ruben Dantas; Jorge Pardo and many more. 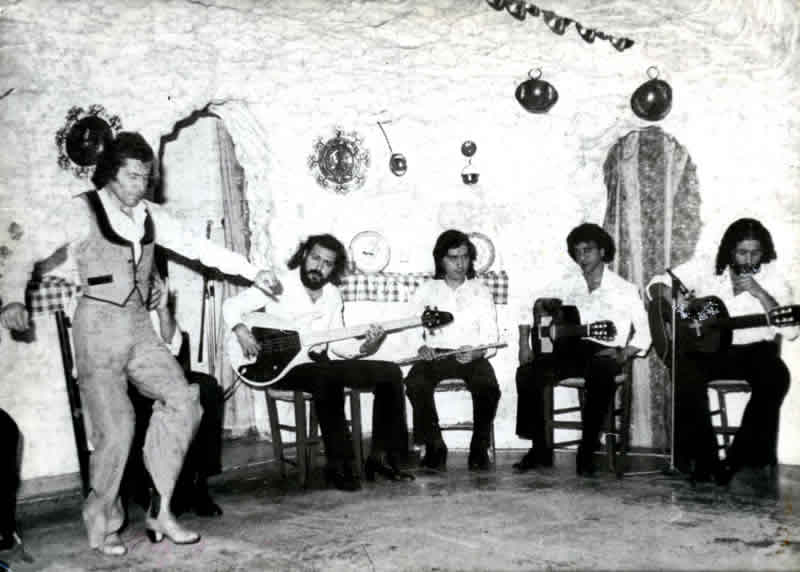 He, in turn, works with several flamenco artists in the "Tablao" LOS CANASTEROS, where he worked until 1980 with inter others: the "dancers", Carmen Mora and Carmen Cortes, "singers", Guadiana, El Chato de la Isla, Remedios Amaya, El Moro, Etc. And "tocaores" Pepe Habichuela, Tito Losada, etc.. He also made several TV programs with Diego Carrasco, Manuel Soler, Enrique de Melchor; ENRIQUE MORENTE; "Familia Fernández" y "Familia Montoya". 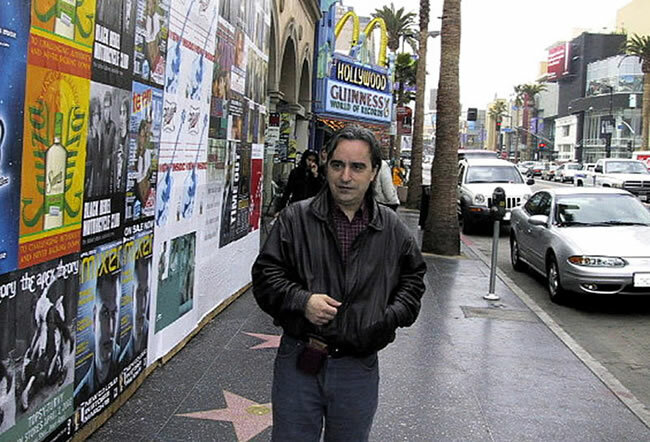 He recorded an album with Victor Monge "SERRANITO" and later acted with him and SARA LEZANA together. 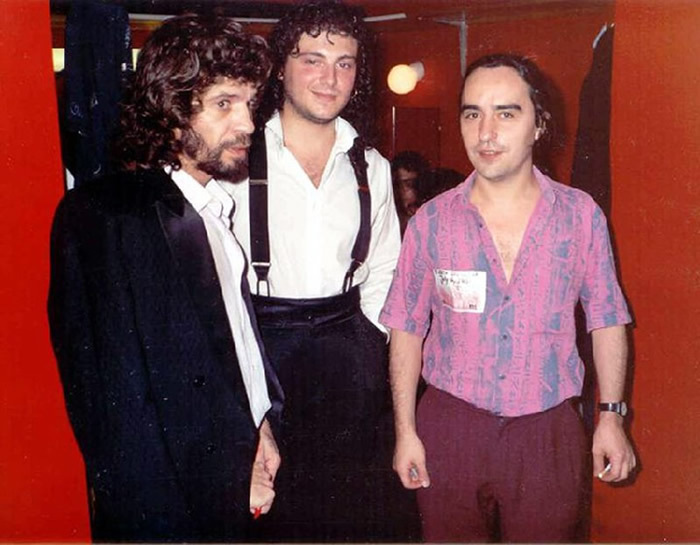 Since then, remain linked to the "Flamenco" forever. 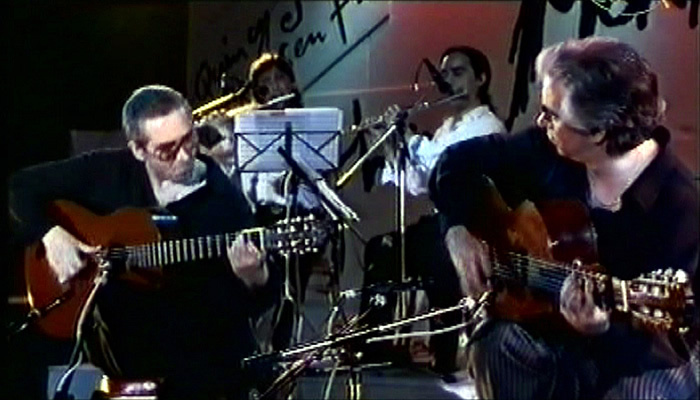 Participates in 80 and 90, with numerous groups in concerts and recordings in the jazz and very different styles of music, among others: the songwriters Cayetano Morales and Luis Pastor; Moncho Alpuente and Kwai; KEVIN AYERS; Atlas and "Madera" (Jazz-fusion); Pedirás Arnica (funky); ASFALTO; Paulinho Damascene (Brazilian music); Kristin Martens (funky-soul); Tragaluz (Jazz-rock); Jorge Banegas Project (New age), the Big Band Ramón Farrán; the singer Sudanese Rasha (ethnic music); Dave Schitter and Mandred Schoof (Jazz), and so on. 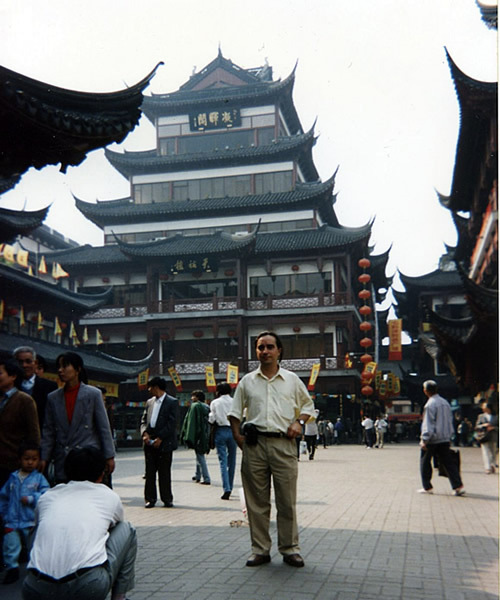 And especially with JOSÉ ANTONIO GALICIA (until his death in 2003), with its formations, "Camaleón" and "Grupo del Foro" (Flamenco-Jazz), making several tours with great success, as in the Flamenco Festival of Utrecht of 1994. 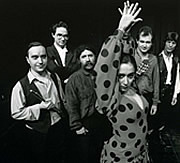 JJuanma Cañizares; Montoyita; Jose Luis Montón; PACO and MIGUEL ANGEL CORTES; El Viejín; Vicente Cortes; OSCAR HERRERO; Manuel Parrilla; Anton Jimenez; Moraíto Chico and MANOLO SANLUCAR, with that worked during ten years in important events, as: 25 th MONTREUX JAZZ FESTIVAL, Palau de la Música (Barcelona) CARNEGIE HALL New York, Auditorio Nacional de Madrid, and so on. 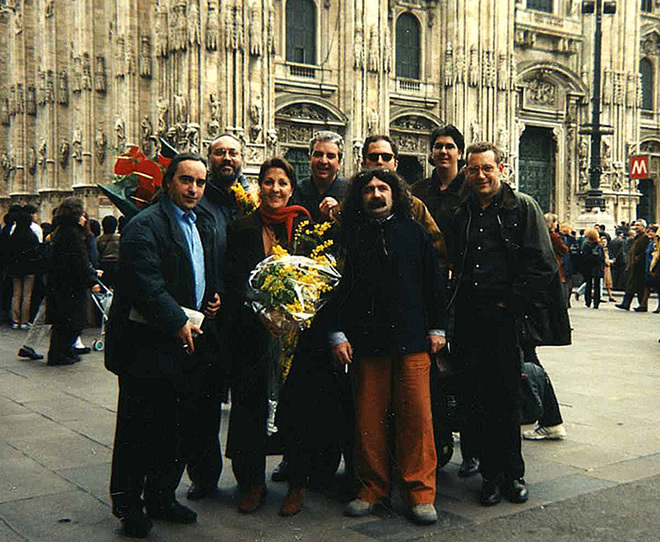 Montse Cortes; Chonchi Heredia; Morenito of Illora; Tony Maya; Emilio Gabarre; Eva Durán; The Chocolate; Maite Maya and CARMEN LINARES, with it which continues to work since 1995 in their concerts, having also worked at the most prominent places, as THEATRE ROYAL the Madrid; THEATRE CHATELET Paris; Carlo Felice in Genoa; LINCOLN CENTER New York, among others. Passes an important period with the NATIONAL BALLET OF SPAIN, (from 1999 to 2006), to that it is called by the director Aida Gomez in order to participate in "Silencio Rasgado", choreography with music by Jorge Pardo, and to replace this one in the (sax solos), With such a good result that ask you to intervene in others choreographies, with what happens to be a musician usual Ballet. 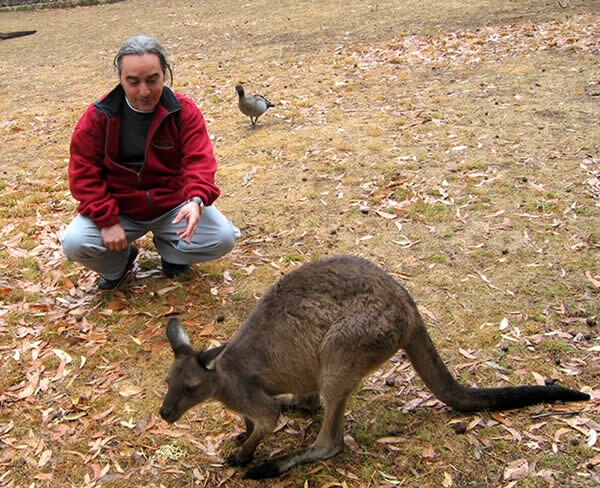 It conducts numerous tours, over these years by all countries in the world in the best scenes. the second year was elected "MUSICAL COORDINATOR" a position he played for two years. Participates in choreographies of: Maria Pages: ANTONIO GADES; Antonio Canales; Aida Gomez; Manolete, Javier Latorre and Joaquín Grilo, etc.. He also composed music for several choreographies of ISRAEL GALVÁN, ISABEL BAYON; ADRIAN GALIA; CURRILLO and ANTONIO CANALES. 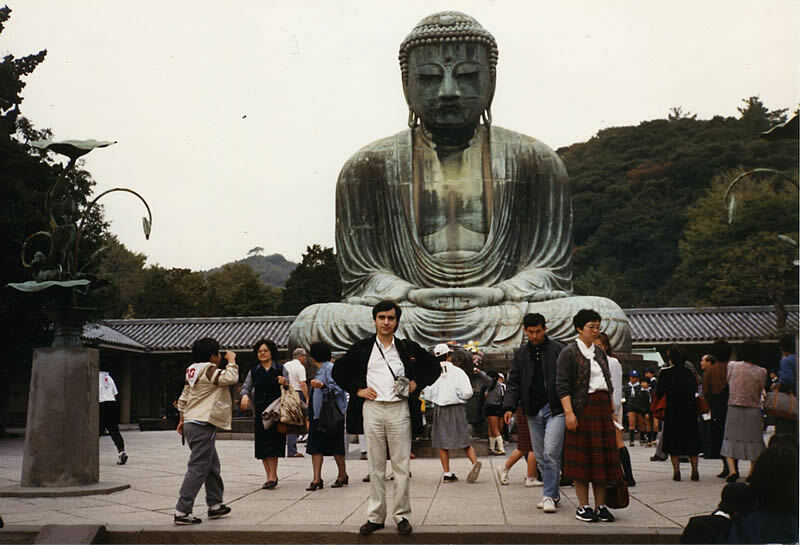 His work "ORIPANDO" premieres with great success on September 17, 1999 at the SUN PALACE THEATRE, of FUKUOKA (Japan). In 2003, to mark the 25 th Anniversary of the National Ballet of Spain, Gala which is being held at the Teatro Real in Madrid, is included among the best choreography in its history "GUAJIRA of Oripando" of Isabel Bayón with music by Pedro Ontiveros . 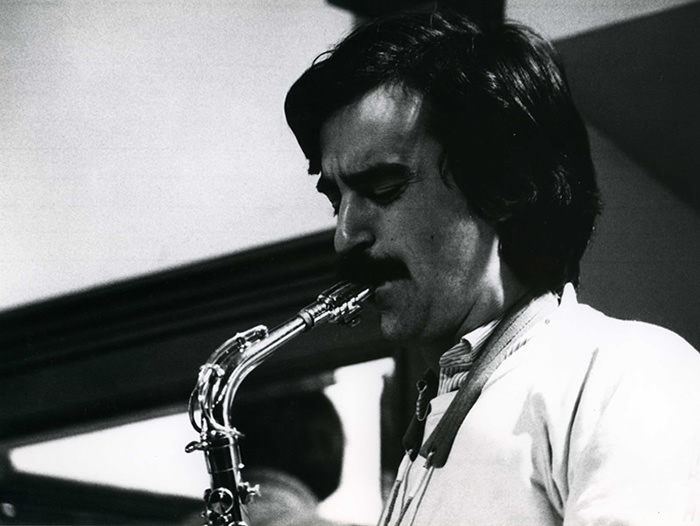 At present, Pedro offers through its website an extensive collection of sheet music for flute and saxophone about flamenco music, which arouse great interest among musicians from around the world and aims to contribute to the knowledge of the interpretative peculiarities of this music, and to teaching of experience accumulated throughout his career.